**MAKE UP TRYOUTS NOW BOOKING - PLEASE CALL TO REQUEST A TRYOUT. LIMITED SPOTS REMAINING U8 - U14. Tryouts Fee is $20. Please register here. For questions please call 412-386-8266. 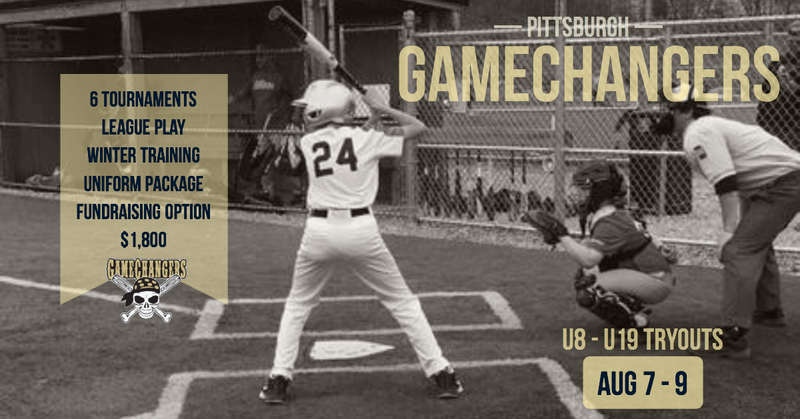 Our GameChanger AAU Program is for players Ages 8 - 14 who are ready to play competitive baseball in the Western PA area. Our travel program plays mainly Atlantic Coast Baseball teams for weekday and non-tournament weekend play and plays a 6 tournament minimum with at least 2 overnight tournaments in other states to experience the level of competition outside of Western, PA. Our 12U Club does attend Cooperstown (*Cooperstown trip is NOT covered in base tuition price.) Winter Off Season Training consists of 2 hours per week of indoor training. Uniform consists of hat, 2 jerseys, 2 pairs of pants and 2 practice jerseys. Club wide fundraising is optional and will be available to those families that wish to reduce their tuition cost. **Please note all GameChanger deposits and tuition payments are non-refundable. This is due to the fact that once a player accepts a roster spot by putting down a deposit, that roster spot is no longer available to other players. Also, payments for many items in the player package are paid for by the Club well in advance of the start of the season. If you have questions about our refund policy, please contact us before making a payment. Our GameChanger AAU High School Program is for High School Players and is built to be in compliance with WPIAL rules. Our High School Program includes a custom strength, conditioning and throwing program for players as well as team tournament play following the high school season. Uniform includes a hat, 2 jerseys and 2 pairs of pants.) 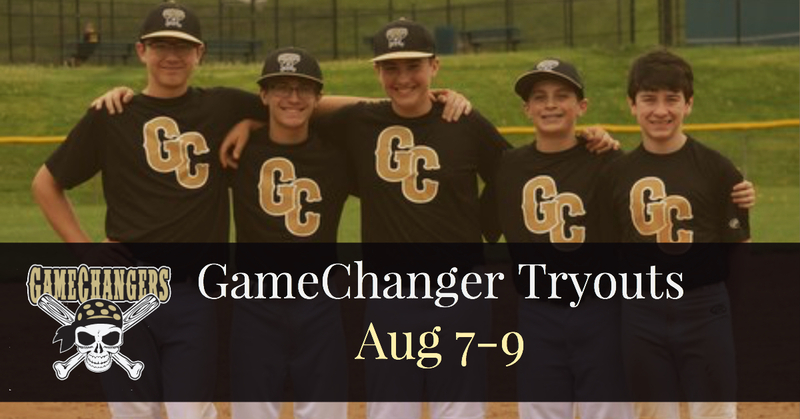 GameChangers High School teams also particpate as local teams in our Pittsburgh BASEBall Urban Classic which includes staying overnight in host university dorms, college showcase, college & career fair, night time experiences and baseball play against teams from across the country. BASE travel opportunities to other cities are earned through our BASE progamming which is seperate from our GameChangers program. FOR QUESTIONS OR MORE INFORMATION, PLEASE CALL THE CLUB 412-386-8266.